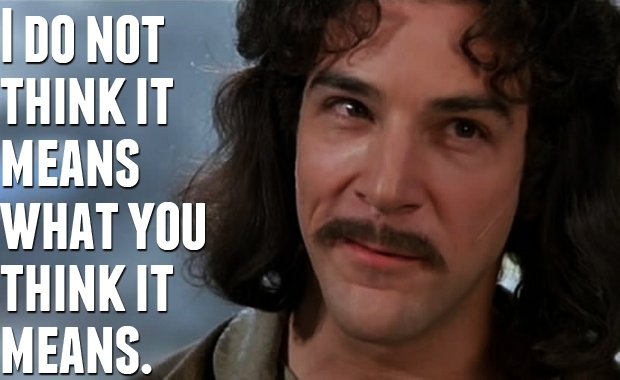 Despite how often people quote this, it’s facile. 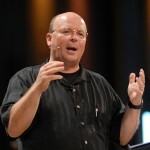 It ostensibly excuses a lack of boldness that is the very opposite of the New Testament’s own preaching of the Gospel. Sounds good and obvious, right? 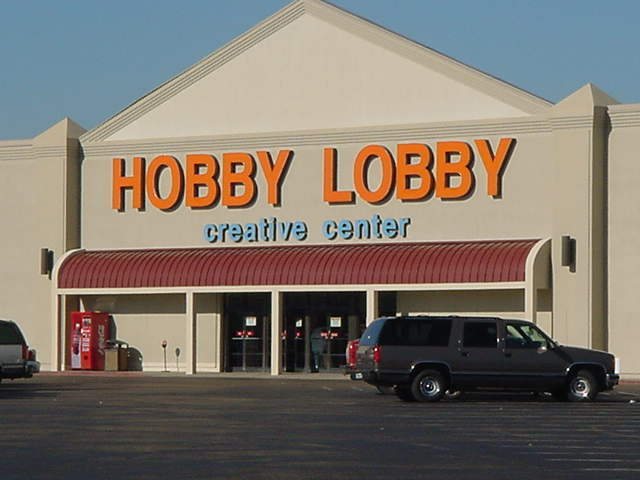 However, it’s a cliche that depends upon bad, unhelpful theology. On a very basic level, ‘Preach the Gospel. 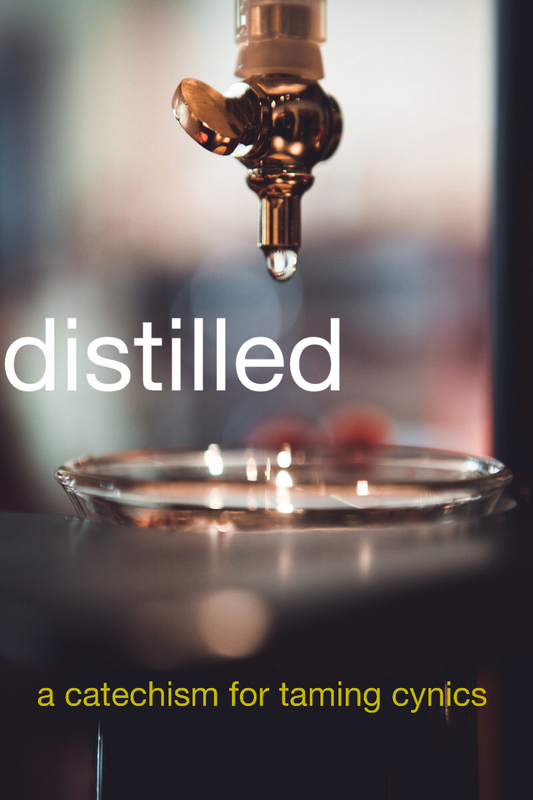 If necessary use words’ relies on the assumption that the Gospel is primarily about things we do to achieve salvation, in which case communicating the Gospel can be done without words. 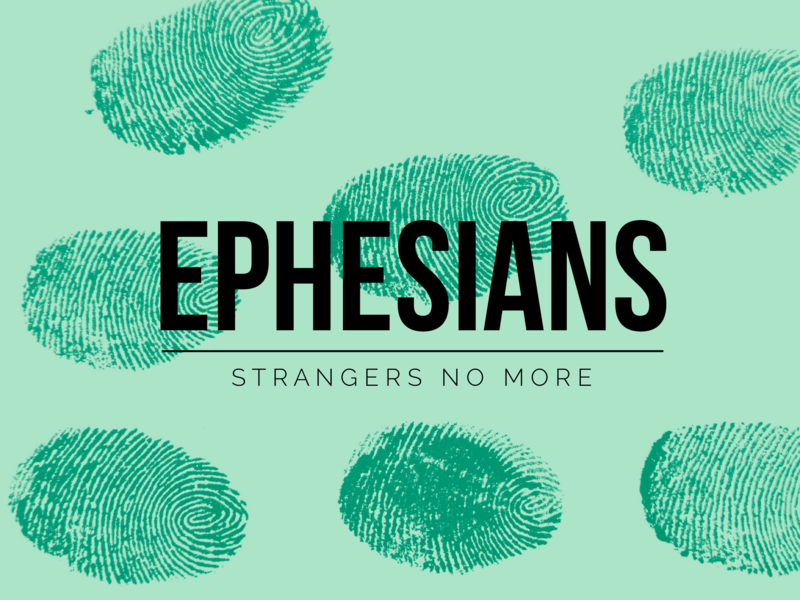 The Gospel’s not a message of things we must do. The Gospel’s a message about what we can not do for ourselves. 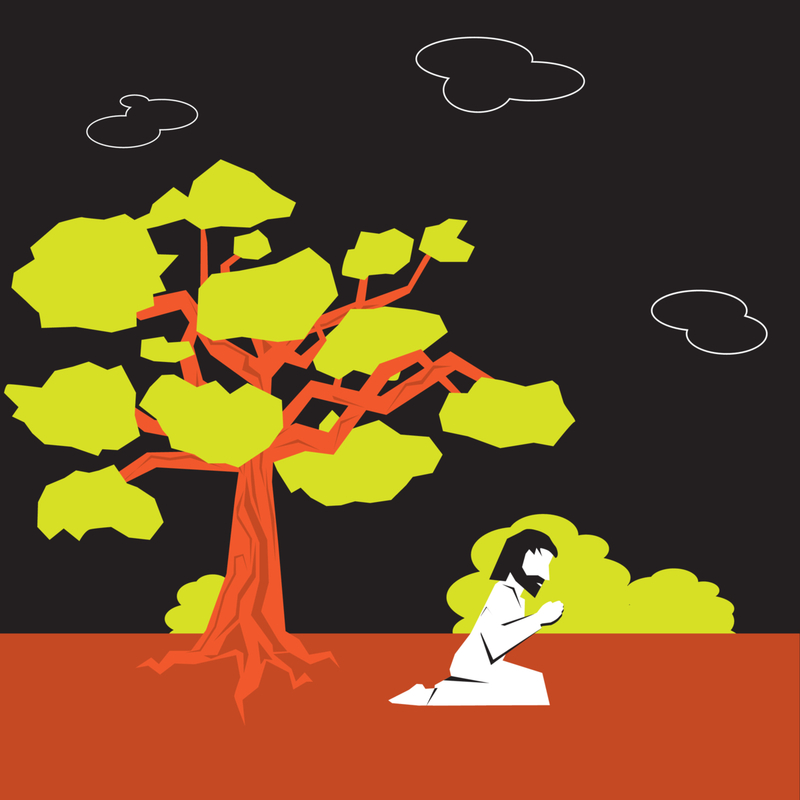 The Gospel’s a message about what God has done for us, once and for all. And that’s not a message that’s self-interpreting or self-evident. Perhaps on a more fundamental level, ‘Preach the Gospel. 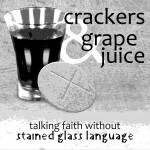 If necessary use words’ relies upon the misunderstanding that at the core of the Christian faith is the ministry of Jesus. 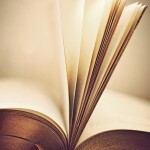 Christian faith is created not through the teachings of or stories about Jesus but by Jesus himself. 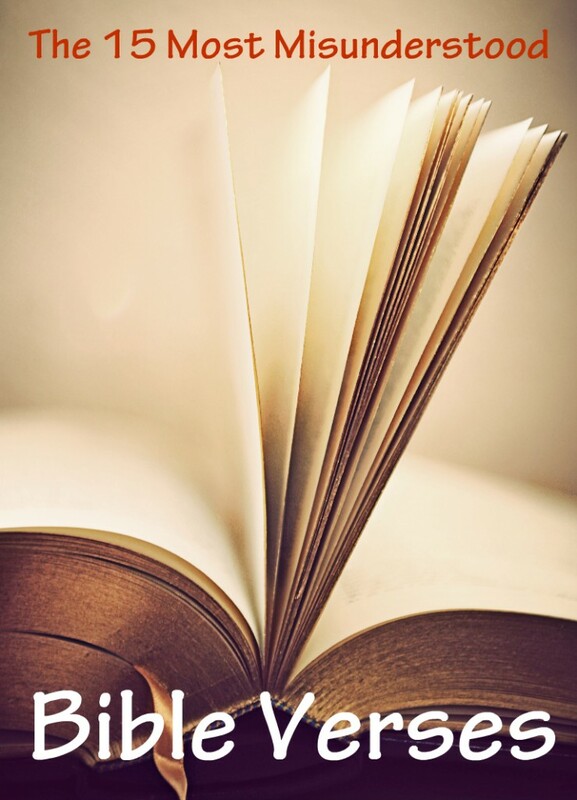 And, on this the New Testament is consistent, Jesus is made known and present, by the action of the Spirit, through the preaching of the word of the cross. 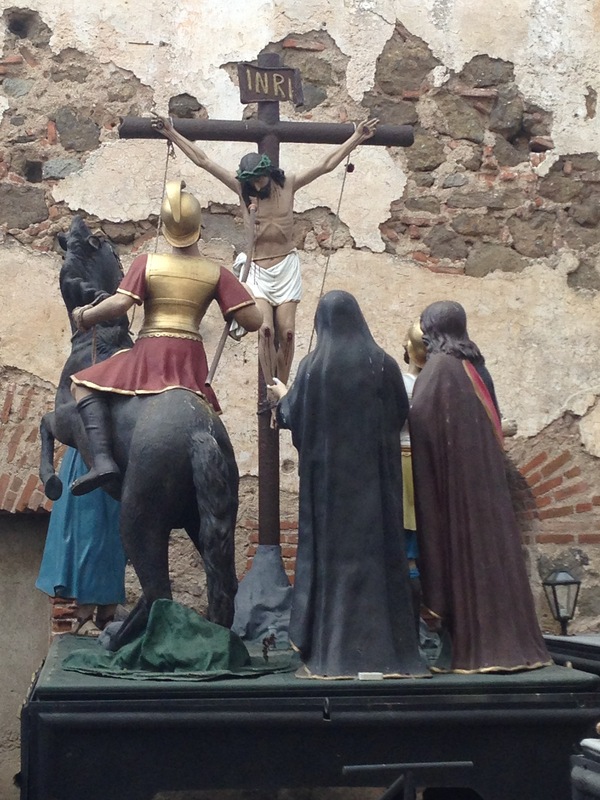 ‘Jesus Christ and him crucified’ was the message that converted the world. 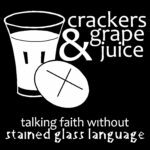 So then, the Gospel requires words even more so than actions because it’s the word (the kerygma) of what God has done in Christ, through cross and resurrection, that makes Jesus present today. And Jesus alone is the author of faith. What’s more, this kerygma is so shocking and counter-intuitive, what Paul refers to as ‘foolishness,’ that it will always require interpretation, for the word of cross in no way coheres with our natural religious impulses. Indeed if the word of the cross is true, then any loving actions towards others attempted apart from or without words (derived from the kerygma) will never be the Gospel. They will be instead religious actions; that is, they will be projections of humanity’s needs and wishes. 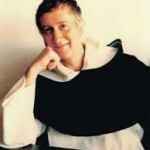 While the cross, Paul reiterates, is the very opposite of religion. 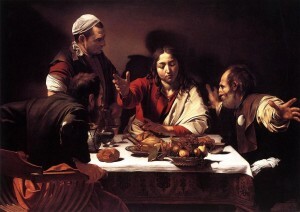 ‘The disciples have not yet understood the radical character of Jesus’ Kingdom that would challenge the violence of the world by refusing to respond to it on the world’s own terms…What they failed to understand was that Jesus is more radical than those who rebel against Rome or other empires using the force of arms. 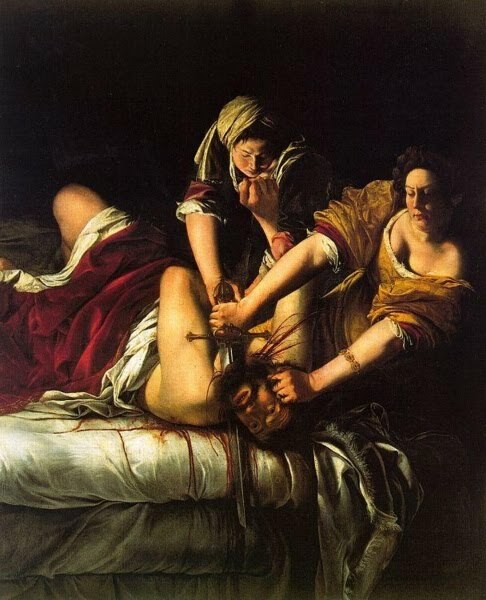 Rome knows how to deal with those who oppose it on its own terms. What Rome and all empires fear are those who refuse its terms of battle. 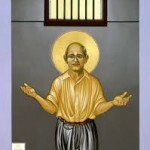 Faithfulness, Hauetwas argues, is fundamentally about patience, a commitment to work in this world confident that, in Jesus Christ, God has already disclosed to us the way of the world. My friend, Brian Stolarz, knows about patience; consequently, whether he’d own up to it or not, he knows more than most about faithfulness to God’s righteousness. He also knows, thanks to yours truly, that in scripture righteousness is just another word for justice. I’d be remiss if I didn’t add that I count Brian one of those gifts with whom cancer has given me the chance to nurture a deeper friendship; he’s been there for me. As I’ve blogged about before, Brian spent a decade working to free an innocent man, Alfred Dwayne Brown, from death row in Texas. 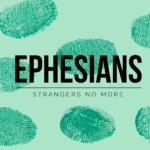 You can read the previous posts about Brian’s work and watch our dialogue sermon from last summer here here and here. Since the analytics tell me that many of you followed the story on the blog, I’m happy to post that Brian sent me giddy texts yesterday afternoon letting me know his patience had finally paid off. 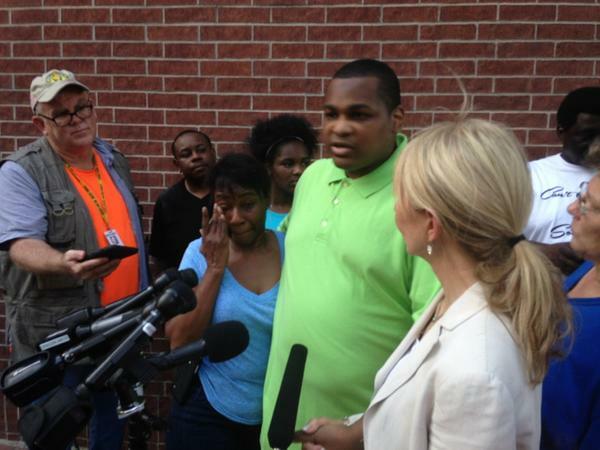 After having his conviction dismissed earlier this year, Texas finally released Alfred to his family last evening. 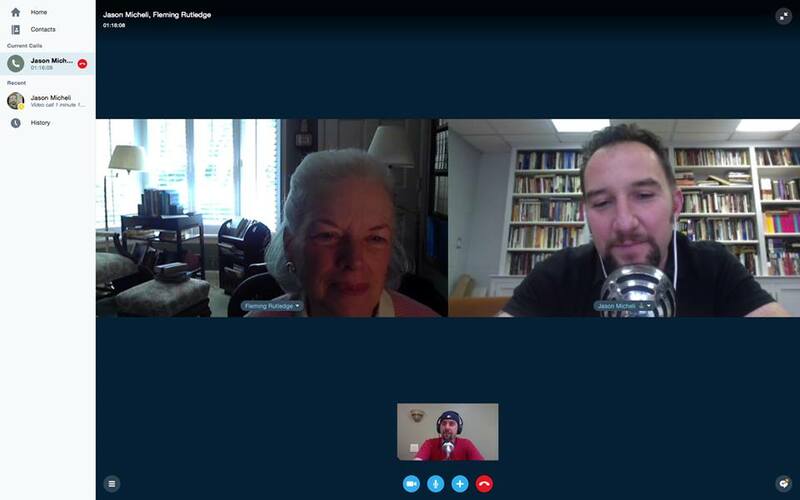 And what’s amazing, and fitting to Hauerwas’ observation above, is that Alfred is not angry. Despite the time lost for him and the time sacrificed by Brian, God has given us more time in resurrection to live lives worthy of the Kingdom. You can read last night’s story about Brown’s release here. 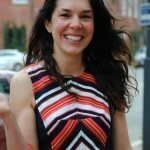 The reporter for the Houston Chronicle, by the way, who helped bring publicity to Alfred’s case by relying on Brian’s work, won a Pulitzer this year. Here’s a video of Alfred’s release. 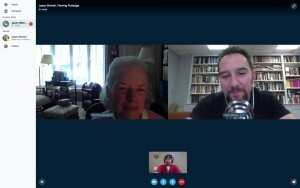 If you understood Hauerwas’ quote above, then you’ll know it’s an Easter video. 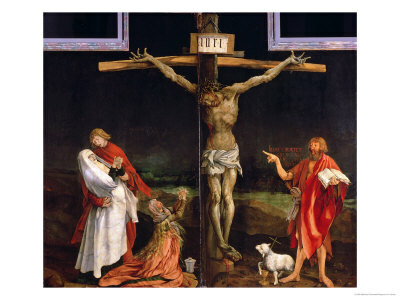 Should a Jew Paint the Crucified Christ? 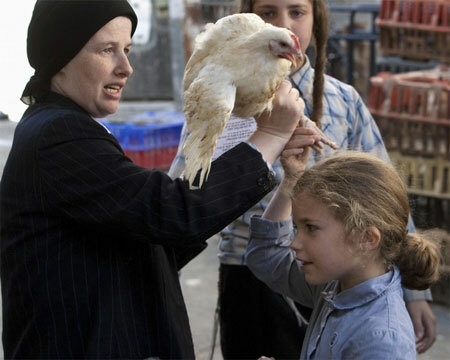 Does God abandon his People, Israel? That’s the question running through the entirety of Paul’s Letter to the Romans. It’s also a question Marc Chagall, a Jew, struggled with in his art during the horrors of the 20th century. 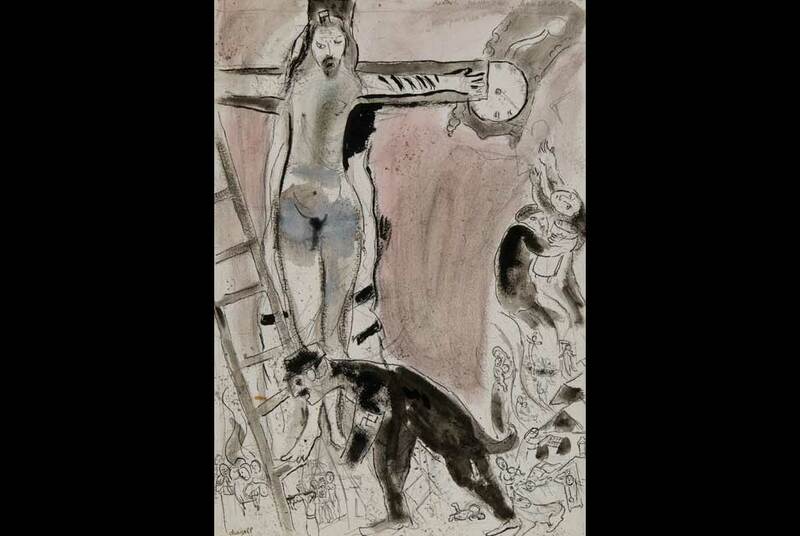 For a recent sermon on Romans 8, I invited friend and art historian, Janet Laisch, to bring Paul’s wrestling to light by bringing Chagall’s artwork of the Crucified Christ to light. 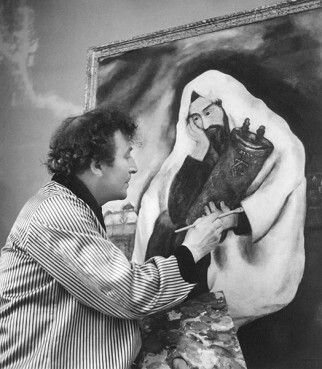 Like the Psalmist using words to pray for God’s protection and forgiveness, Chagall one of the most famous modern artists and a Russian Jew used his art to pray to God for protection and forgiveness. Like Paul in Romans 8, Chagall asks—through his art and poetry—if God has abandoned has abandoned the Jews. 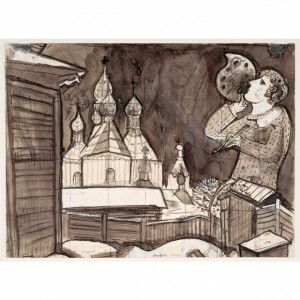 This is Chagall’s Vitebsk a pen and ink on paper show the Pale of Settlement or territory on the outskirts of Vitebsk, within the border of Tsarist Russia where Jews like Chagall were forced to live. Chagall was born July 6, 1887 and created art until the night before his death in 1985. On the right, Chagall is holding a paint palette and is out of proportion—too large—for the space. In real life, Chagall was too “large” for the Pale and eventually move to St. Petersburg to study art, then Paris, is exiled in USA and returns to France until his death. The church dominates the horizon in this drawing and in real life even for Jews like Chagall, the church dominated his life. The church led anti-semitic pogroms where Christians raped and even murdered Jews that Chagall witnessed growing up in the Pale. 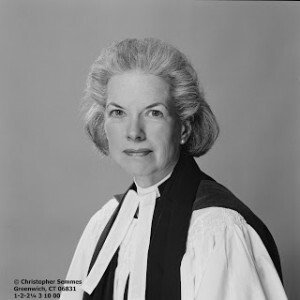 The state condoned the church. This image, Rain, 1911, charcoal and oil, shows the compound where Chagall lived with his large family of eight surviving children; he was the oldest and his mother doted on him. Compared to Christians outside the Pale, their clapboard home was modest though compared to other Jews living on the compound, Chagall’s family lived well. His mother ran a grocery—foreground right—which supplemented his father’s job as factory worker. 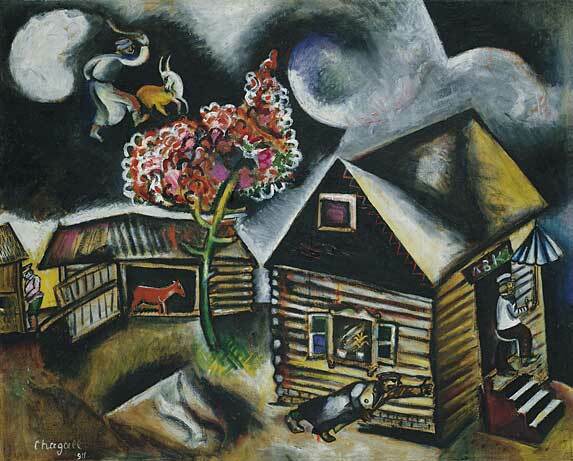 They rented out huts on the compound for extra income which enabled Chagall to attend school with Christians. This led to an artistic awakening. After he first saw a classmate drawing, Chagall decided he wanted to become an artist. His mother accepted and his father gave-in to Chagall and they paid for art lessons and for him to move to St. Petersburg. 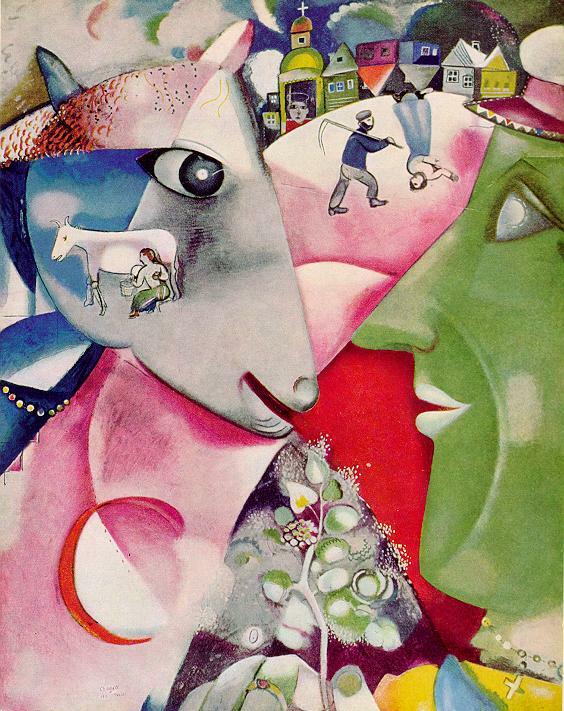 He became so successful there that a benefactor paid for Chagall to move to Paris. After moving to Paris, Chagall painted I am My Village (1911) and is characteristic of his work. It has bright colors, expresses joy through whimsical symbols—two small figures in the center show one upright and one upside down– and folk references: Vitebsk town and a woman milking the cow. He ignores rules for realistic color and proportion in favor of whimsical designs. His friend Picasso complimented as one of the best modern artists other than Matisse and of course, Picasso himself. However, Chagall’s art and prayers become more sad between 1933-52 coinciding with German Aggression, WWII and the Holocaust. 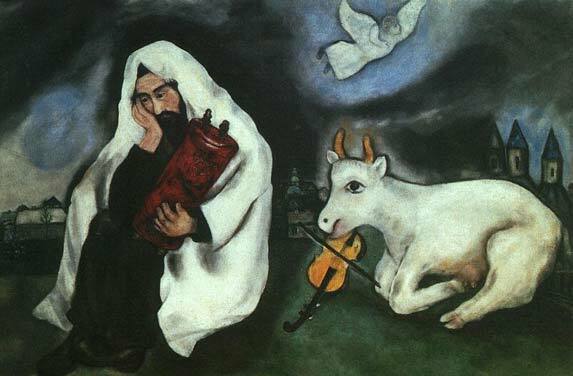 Like Psalm 44, Chagall paints lament poems and prayers. This photograph shows Chagall painting Solitude. 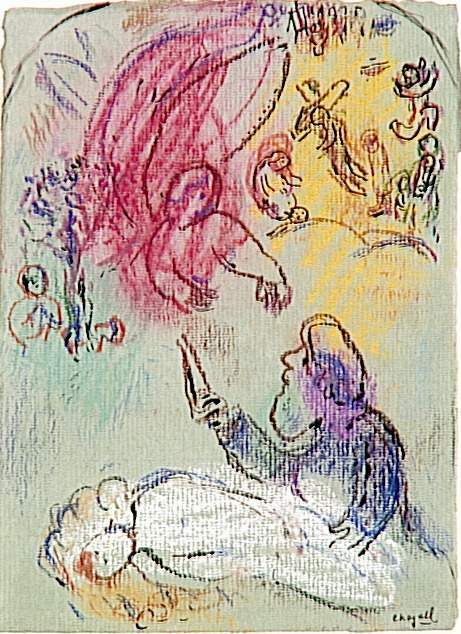 After Chagall returns from Israel, he focuses on Old Testament and other bible scenes. Chagall wrote about Israel, “I walked the very streets Jesus walked.” Thus, Chagall, a Jew, follows Christ’s footsteps. This image is Solitude, an oil on canvas from 1933. It marks the year Hitler becomes Chancellor. 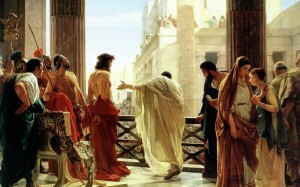 The painting like Romans 8 seems to ask God if he has abandoned the Jews. Vitebsk, in the background, is recognizable by the church steeples. In the foreground an Hasidic Jew, perhaps even Chagall, wears a prayer shawl or tallit and clutches the Torah. He looks very depressed. The fiddle beside him, if it were being played might console him. 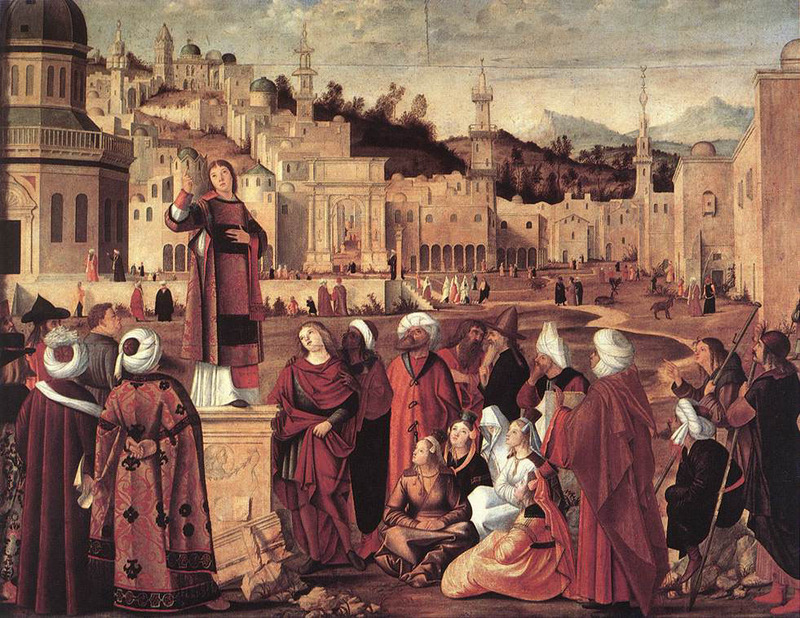 Beside it, a white cow, the original title of this work, and also a reference to Israel herself from the Old Testament. The depressing answer—Chagall feels- is given away by the angel in the night sky flying away. Chagall feels abandoned but continues to pray. 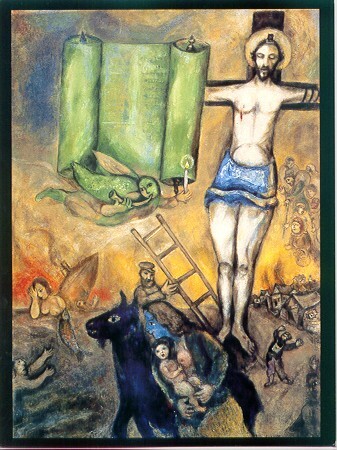 Between 1938-52, Chagall painted a series of crucifixion images. 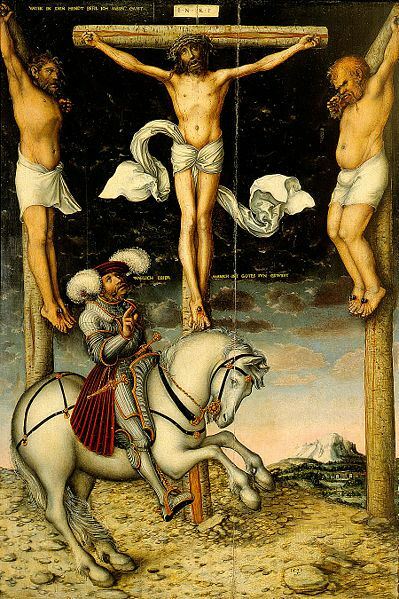 He is not the first Jewish artist to paint the crucifixion. 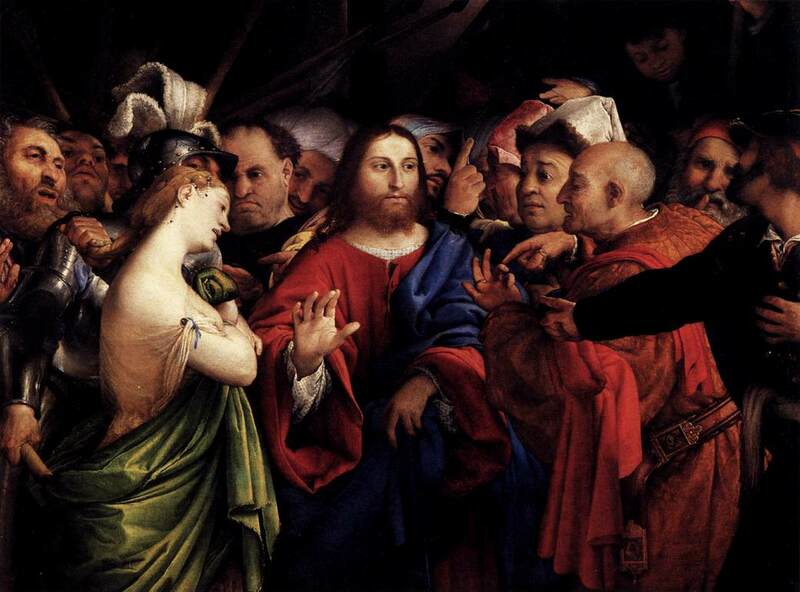 In the late 1800s artists responded to Theologians who sought to remind Christians that Christ was a Jew. Chagall was the first Jewish modern artist though. And other followed. None painted as many. 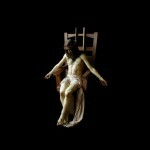 Some said he was obsessed painting more than 30 crucifixions in a span of 14 years. 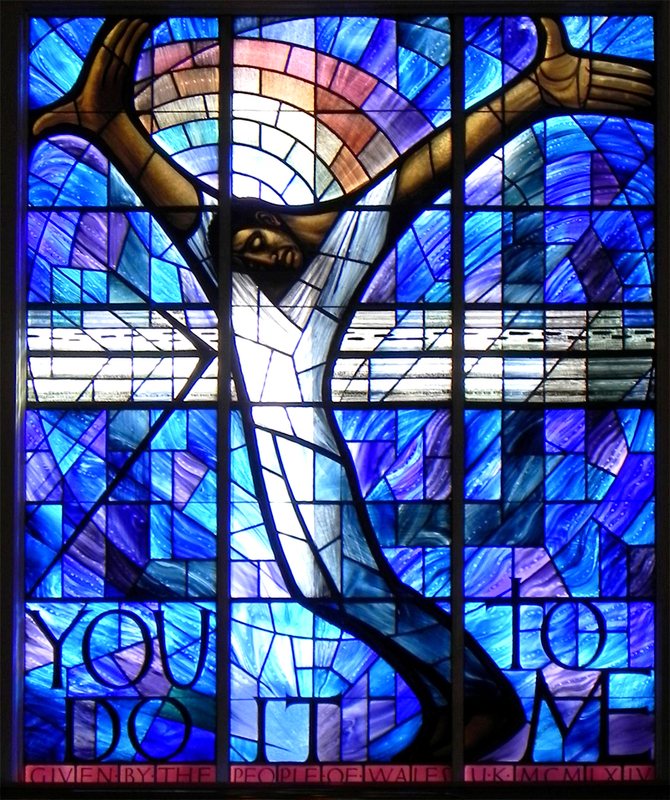 White Crucifixion from 1938 is the first in the series. Chagall painted it in response to the Nights of the Broken Glass where Christians did almost nothing to stop Jews from being murdered. 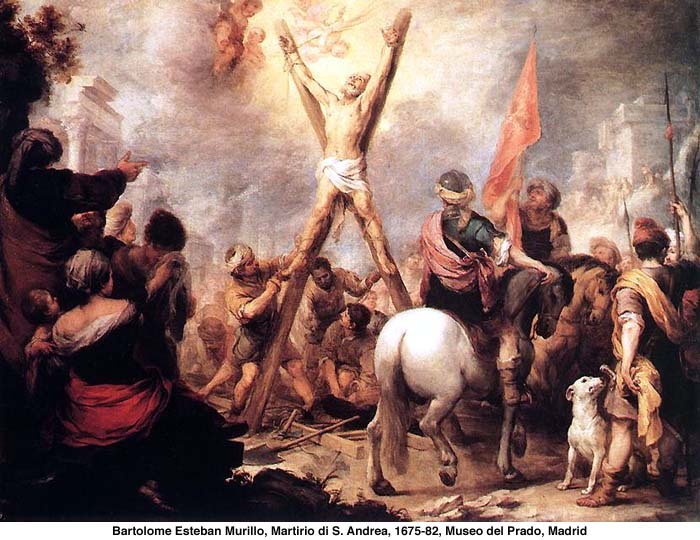 It is also Pope Francis’ favorite work of art. Here Chagall juxtaposed Christ’s suffering with contemporary Jews’ suffering. Chagall painted a complex theology. In the center, Christ is the Christian Messiah—with a halo and the white light descending from the top of canvas represents divine light like a Russian icon. Also, Jesus is a Jew. Above the cross, Old Testament prophets replace Christian angels and at the base of the cross the candles may reference Yom Kippur. Chagall repeatedly included symbols of Yom Kippur in the crucifixion images. 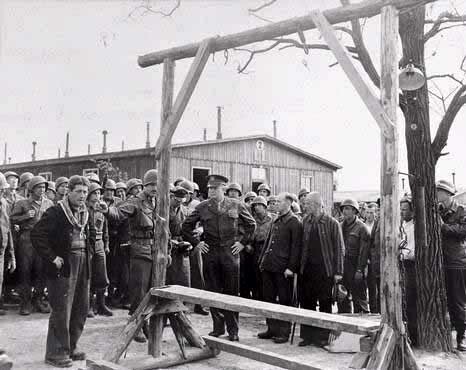 Circling Christ are the atrocities committed again Jews. A Nazi soldier is burning and desecrating a synagogue. Other recurring images: wandering Jew—who Chagall identifies with himself—refugees: woman clutching a baby, man clutching a Torah, a man with a sign “I am Jew, a boat of refugees, a burning town with a small cow, and Communists soldiers carrying the red flag march forward. We know that the communists were no better friend than the Nazis to the Jews. 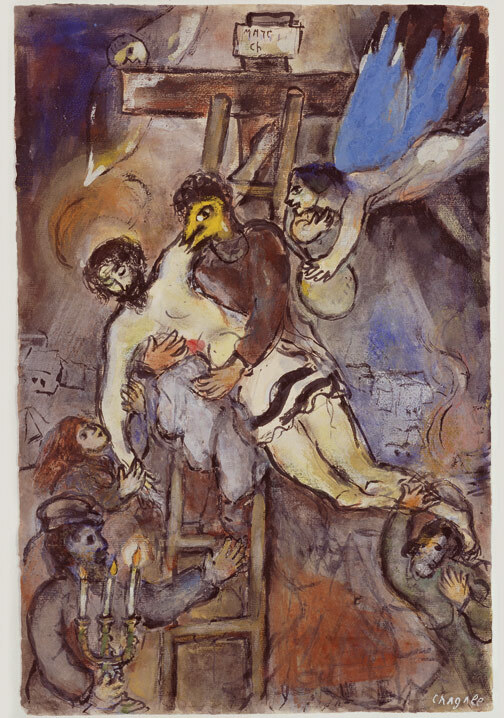 Chagall paints these images as a prayer pleading for help from God and help from Christians. 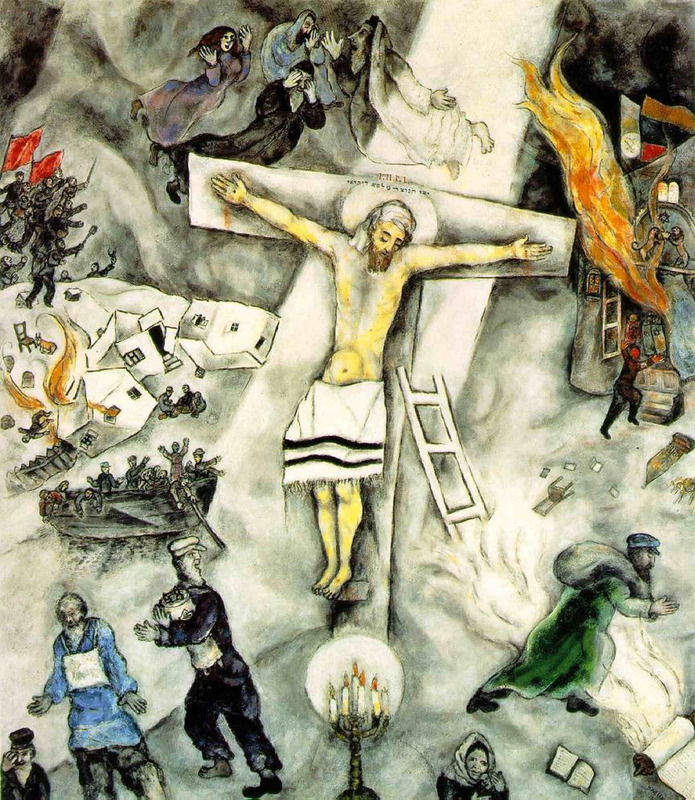 Another Crucifixion image, Persecution from 1941 coincides with Chagall fleeing France and escaping to America before the Nazi invasion. Chagall feels guilt that he is safe while is brothers and sisters are not. Again, Chagall emphasizes that Christ is a Jew. He wears a tallit and the chicken at the base of the cross is a symbol of Yom Kippur. After fleeing to USA, Chagall refers to himself as the wandering Jew, “The man in the air in my paintings…is me.. it used to be partially me. Now it is entirely me. I’m not fixed anyplace.” In Medieval Christian legend, the wandering Jew who was present at the crucifixion was doomed to wander the earth forever until he accepts Jesus as Messiah. 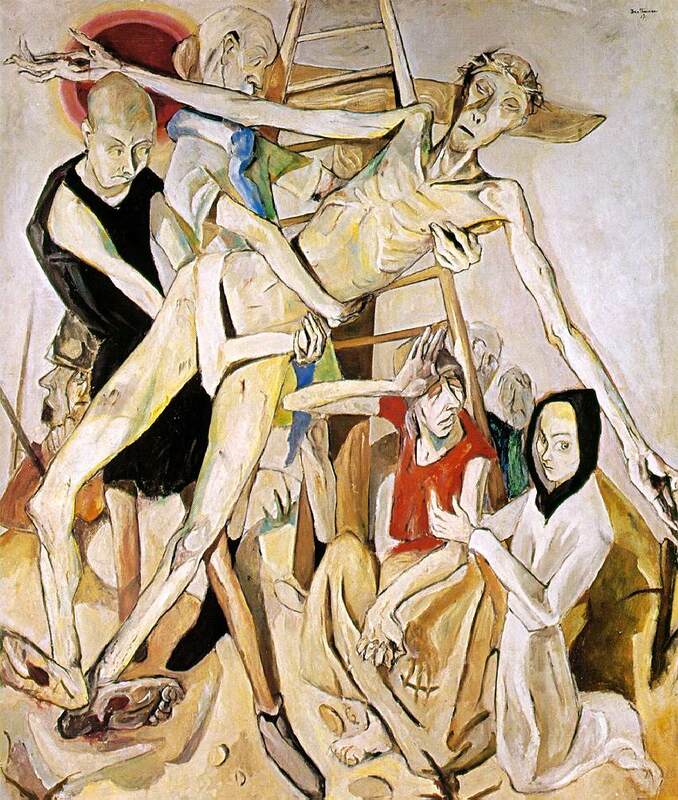 Another crucifixion from the war years is Descent from the Cross 1941. Here Chagall identified himself with crucified Christ. The INRI acronym is replace with Marc Ch. He is dealing with the guilt of being safe in USA while his brothers and sisters suffer. A man with a chicken head helps Chagall down—the chicken head symbolizes Yom Kippur that Chagall will be forgiven. 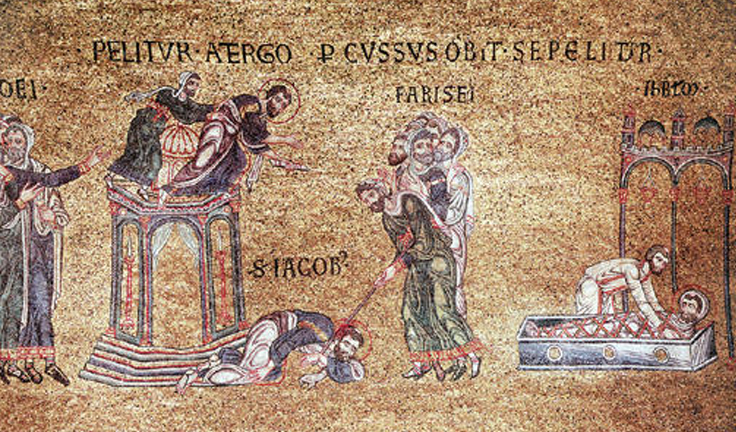 An angel flies in from right and hands the artist a paint palette and brush—symbolizes a resurrection. Chagall wrote a poem about this and other paintings where he painted himself as a crucified Jesus. The gift of painting is from God. Chagall’s prayers are answered. God does not abandon him. Yellow Crucifixion from 1942 is Chagall’s response to Nazis “Final Solution.” Newspapers disclose that Jews were being moved from ghettos to concentration camps for extermination. 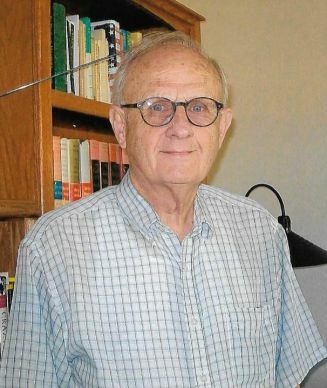 The yellow background symbolizes the yellow star of David—labeled Jude—which Jews were forced to wear. The yellow smoky background may symbolize the poisonous fumes of extermination—the Jews like sheep to slaughter. The Divine Christ—halo—is a Jew. He wears the prayer bands on arm, phylactery on forehead and at the base of the cross the ladder is a symbol of Yom Kippur—as are the green torah scroll, the candle and horn. Chagall juxtaposes suffering Jews with Christ’s suffering. On the left, the ship sinking, a drowning man and two struggling in the water may reference the tragedy SS. St. Louis—the refugee boat that after landing in Cuba only disembarked a few Jews—sending the majority back to Europe and back to the Nazis. Next, the Holy Family on a donkey may reference their flight into Egypt and their escape from Herod who murdered Jewish babies. A man with a sign “I am Jew” wanders while a village burns. Chagall wants the viewer to equate the suffering Jews with Christ. They are from the same stock. They need our help—he prays and pleads. 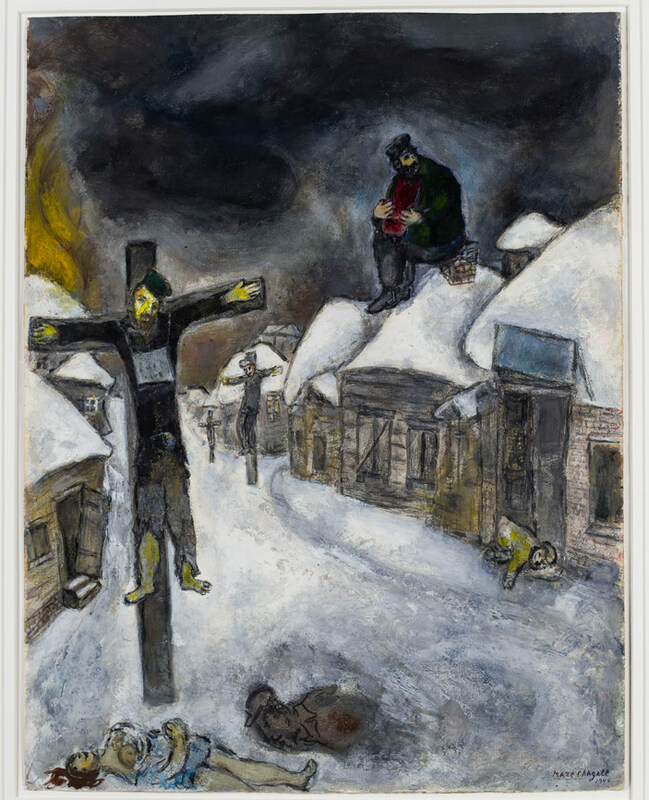 This image, The Crucified from 1944, depicts a horrific nightmarish street scene where three crucifixions line the streets and three more Jews die in the snow. The only living person is the fiddler on the roof. It coincides with the German occupation of Chagall’s boyhood home, Vitebsk. Chagall is very explicit. 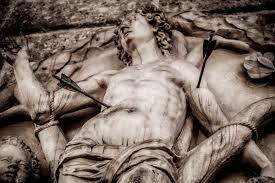 Contemporary Holocaust victims are suffering like Christ suffered. Like Christ they are innocent. 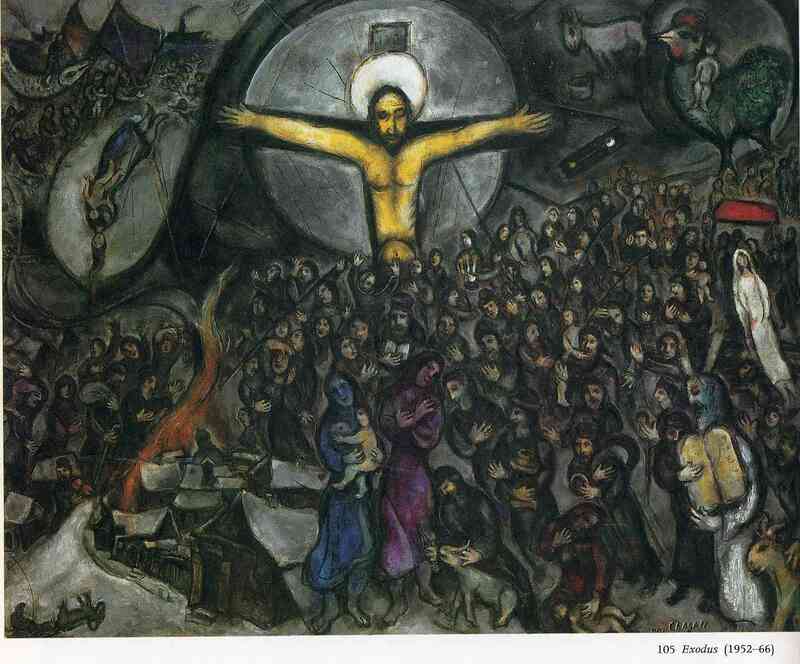 Chagall painted Apocalypse (shown above) in 1945, the same year when pictures of concentration camp victims were published. Like the title implies Chagall saw the Holocaust as great battle between good and evil. He seems to pray that God must see Jews on the right side? Christ is naked. He is completely exposed and humiliated like the victims. 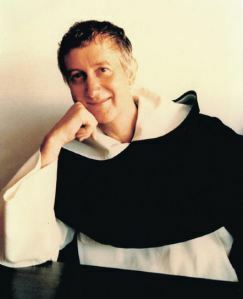 He is no longer shown divine but Jewish. 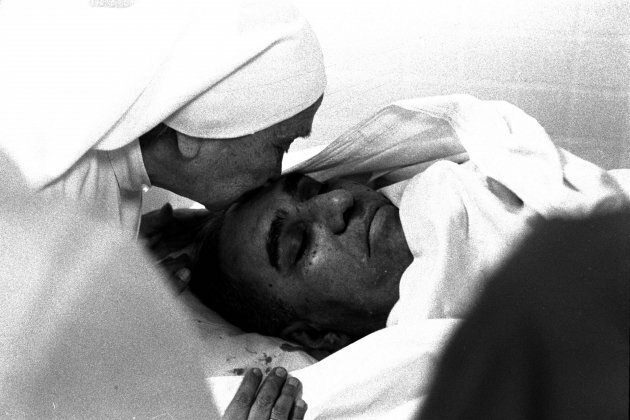 He wears phylactery—mini prayer book—on his forehead, his tallit is nailed to the cross. The Nazi soldier like a monster from the apocalypse has a tail. Chagall laments the loss of humanity—that nothing was done. 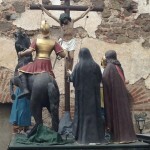 This crucifixion image is much more hopeful. Exodus from 1952 captures the postwar return of the Jews to what is left of their homes. The flame on the bottom, left indicates that homes do not offer much. They are still in need of our help. 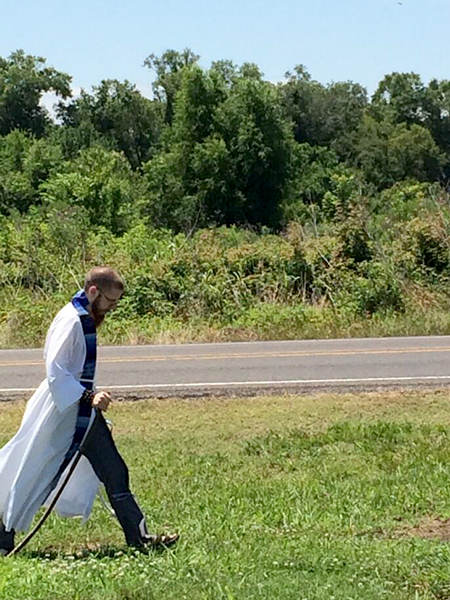 Christ as a Messiah—with halo—lights the way. The crowd moving looks happy and hopeful. Some smile and talk. At the top right, a rooster—symbolizes forgiveness. The Jews must move forward with their lives. The woman in a wedding dress is Chagall’s beloved wife and Moses—Chagall’s birth name– at the bottom right may be the artist himselfreuniting with his fellow Jews. After the war, Chagall continues to explore religious Old Testament stories and crucifixions though the colors are brighter and more cheerful. 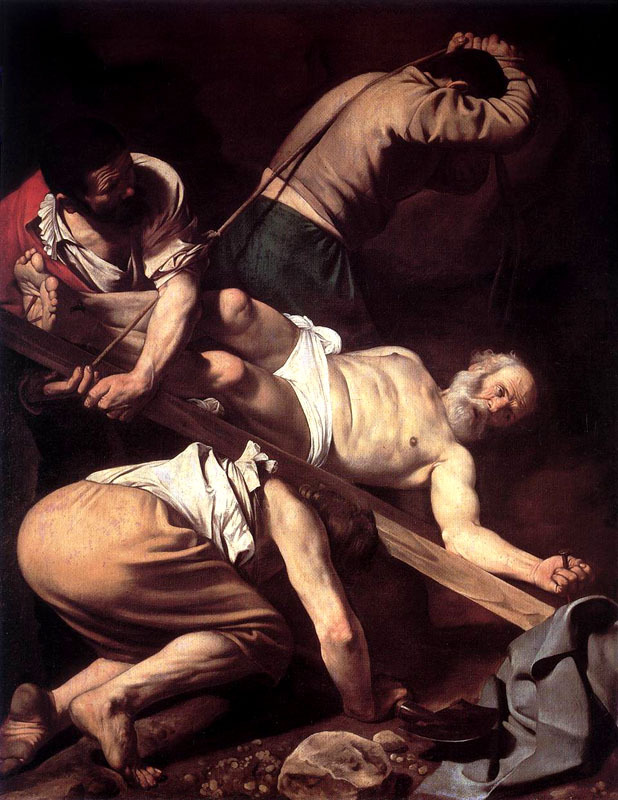 In Romans 8, Paul referenced the sacrifice of Issac as an Old Testament event that prefigures the crucifixion. The subject is hopeful. 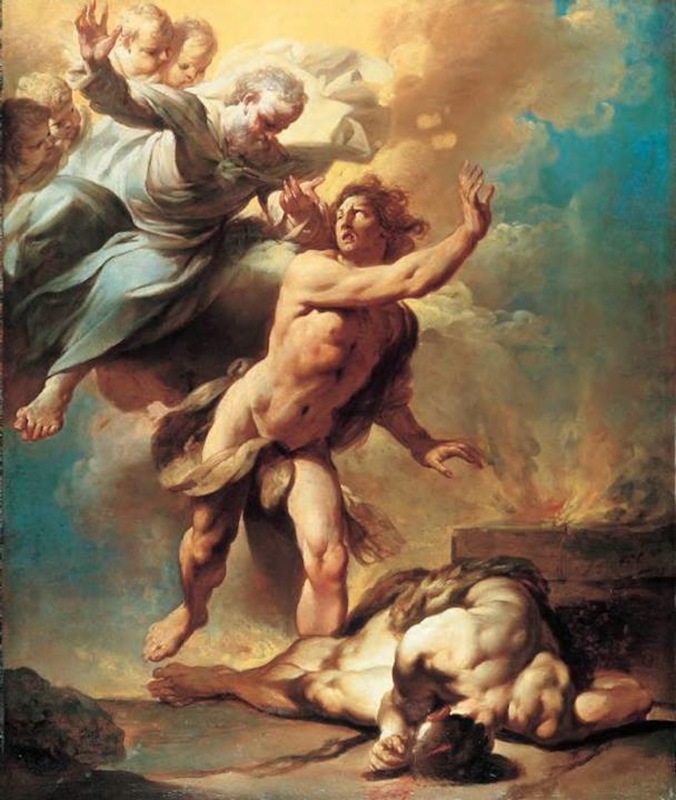 God does not abandon us, the angel intercedes before Abraham sacrifices his son. 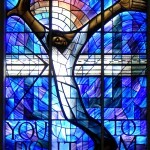 Chagall also designed many stained glass images for Cathedrals throughout Europe and America. 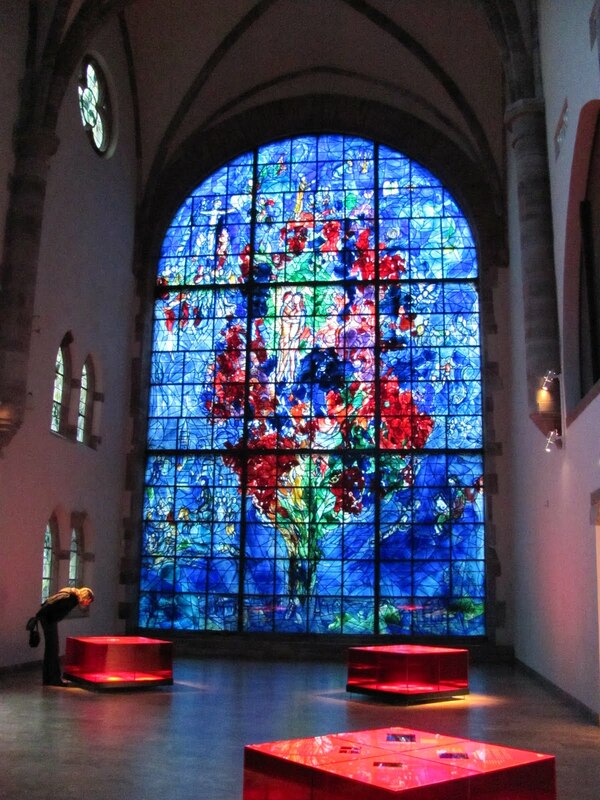 Chagall’s stained glass offers a beautiful expression of God’s love. 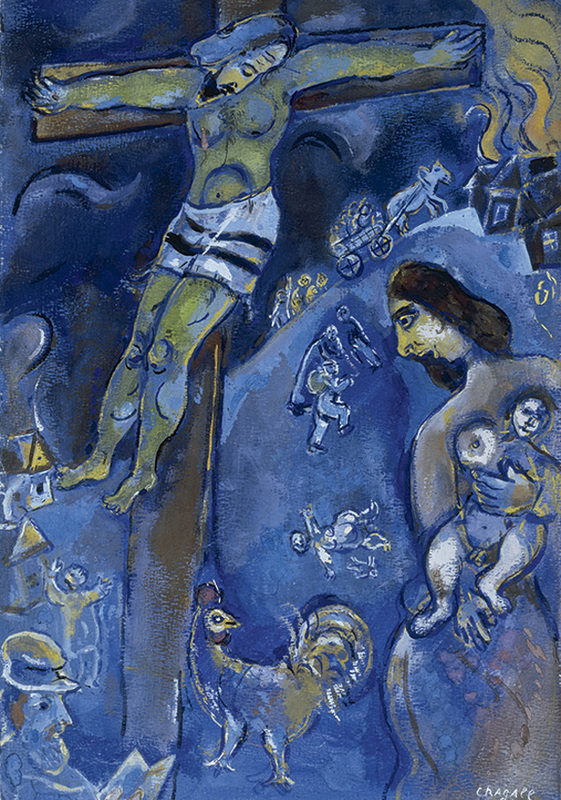 Chagall depicts the crucifixion on the top left. In the center, a couple embraces and is surrounded by flowers. Chagall in this image designs a crucifixion image as Christians understand it—God’s ultimate sign of love. Chagall here creates an answer to his prayers. God never abandons his people.